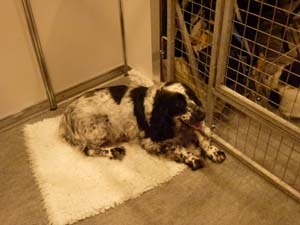 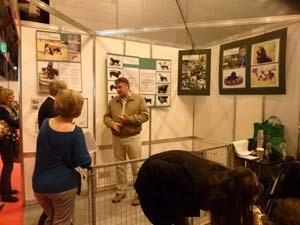 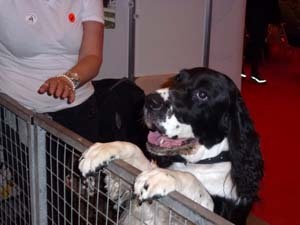 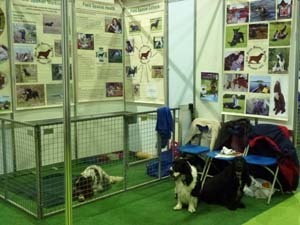 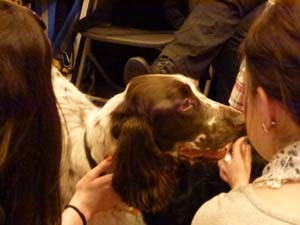 Ray, myself and Sue represented the Field Spaniels at Discover Dogs on both days. 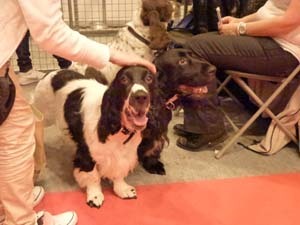 We took Sebastian, Topaz, Archie & Forrest on Saturday and Sebastian, Archie and Forrest on Sunday. 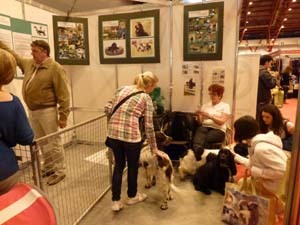 We had a great weekend, we were very busy both days and had a lot of interested in the breed. 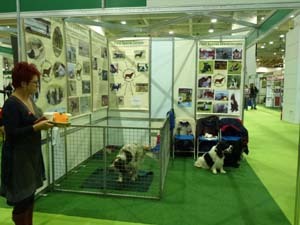 Unfortunately with only 39 pups registered this year it may be quite difficult for prospective owners to get hold of this precious breed. 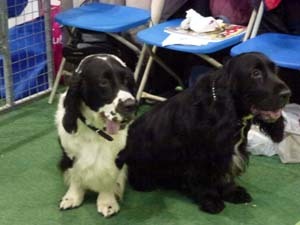 The Sunday was Rememberance Sunday and the whole hall fell silent for two minutes at 11.00 am, both Sebastian and Archie were wearing their poppies with pride!! 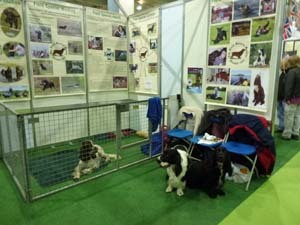 If you are interested in knowing more about this wonderful breed please do get in touch.